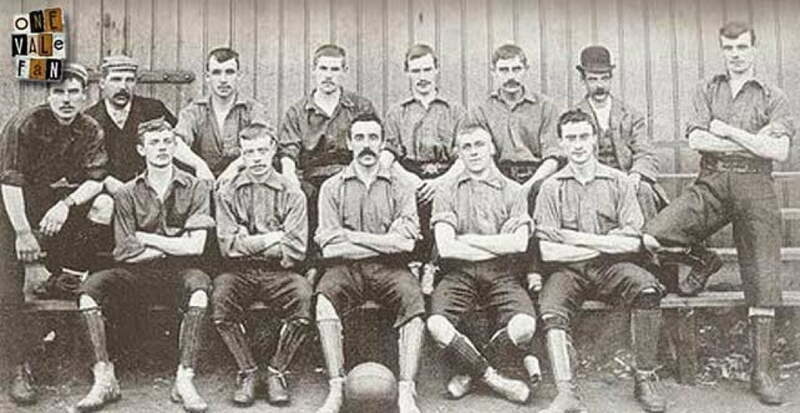 The 1893-1894 season was Port Vale’s second season as a Football League club but it started as one of the most memorable. It’s fair to say that Vale enjoyed a bit of luck during their run. Five of the seven games were at home and two matches came against Northwich Victoria – who finished bottom of the League having conceded 98 goals at the end of the season. But the run also included wins over Small Heath (now Birmingham City) and Manchester City. Strikers Lewis Campbell and Billy Beats scored seventeen goals between them during the winning run. The run came to a sobering end when Vale lost 8-1 to Manchester City on the 7th October – but it was spectacular while it lasted. The side would only win six more games during the rest of the season and eventually finished in seventh place. Note: one unusual fact concerns the game against Manchester City. Final goalscorer Alex Sands had just signed for the club from Dunoon and this was his debut. However, he failed to turn up for training and that game remains his only appearance for Vale.